The wait is over as it's been said that the new Toyota Supra will arrive in 2018. This is exciting news for Toyota fans especially the die-hard Supra fan club, who’ve been eagerly awaiting the acclaimed Supra since the end of the mk5 Supra in 2002. The FT-1 concept was revealed in 2014 in Detroit and from this, the new Supra will take its inspiration from this concept car and will be positioning itself above the GT86 in the Toyota range. Looking at images provided by autocar.co.uk, we can see this car will be like no other on the roads. It’s got sweeping body lines, with integrated air vents moulded into the body work creating flared arches and a moulded rear spoiler. Everything about the look of this car in the images screams tarmac monster. We’re lead to believe that the body may be constructed from the lightweight strong material carbon fibre, giving this car lower kerb weight in its specifications. We’re certain that the new Supra is going to be an expensive car placing it as Toyota's flagship sports car over the GT86. The reflection of the price will offer a very complex powertrain and high tech construction of such a beast of a car. 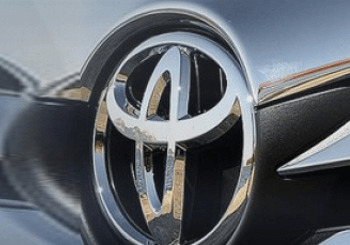 The joint venture between Toyota and BMW will see 2 models featuring a hybrid four-wheel-drive setup which will incorporate a BMW petrol engine paired with an electric motor that stores its power within supercapacitors. This is according to autocar.co.uk, but other rumours have leaked out that the power plant for this sports car may be a Toyota owned Lexus motor. Lexus are developing a new engine that’s code name is 943F, it's meant to put out 400bhp with more than 300 lb-ft of torque. The development of this car is going to come with some challenges due to the collaboration with the German manufacturer. There are going to be decisions that need to be made such as who will build this car and where will it be manufactured etc. According to Ian Robertson BMW’s sales and marketing representative the 2 manufacturers have come up with a proposal that satisfies both parties and that targets the different areas of the sports car market. All in all its exciting times at Toyota as they are revolutionising an old model and bringing back the long awaited Supra that so many loved to drive. We can’t wait for this to go on sale in the UK car market and we’re sure there will be more rumours before the official launch of the New Toyota Supra by Toyota in 2018. Toyota are known for producing one of the most loved sports cars to ever hit the market, the renowned Supra. For many years, fans have wished for a newer and updated version – until now, as early images emerge from Toyota. Through a collaboration with another leading car manufacturer, Toyota have been hard at work to bring us the first glimpse into the future with the Toyota FT-1, dubbed the new Toyota Supra, following recent sporty models such as the Toyota Celica and the GT86. In the past 2 decades, Toyota have been battling the Chevrolet Corvette to produce a similar power to suit a lower budget. The 1992 Mk 4 version of the Toyota Supra was built significantly cheaper than the Corvette, yet has resulted in a power output of around 100bhp less. Although this seemed like a significant margin, the tuning community still managed to whip up a quick fix exhaust and in some instances, a larger turbo to turn the Supra into a Corvette slayer that at the time was tough to rival. Since then, the name Supra has been re-marketed and therefore can’t be used for any new Toyota models. However, the FT-1 is being labelled as the fifth generation of the Supra meaning fans can get their hopes up and expect a driving experience that throws back to the legendary marque. It’s expected to be a direct rival of the new corvette with either a turbocharged V6 engine or a Hybrid Electronically supported powertrain producing around 400bhp. With hybrid sports and super cars becoming more and more common, we would put our money on a hybrid FT-1 coming through to match the current leaders, those being the McLaren P1 and Porsche 918. Reflective of the concept’s early stage of development, we are unsure of when the car will be released to the public, and if it will be at all! As ever, we will closely monitor progression as the car undergoes further work and anticipate an official announcement containing a launch date in the near future.